Take part in the photography contest “Barents Youth” and win 1.000 Euro! The Discover Barents Photography Competition has been launched today, and anyone interested in photography is invited to participate! This photography contest has focus on the Barents region, and for the first time it was initiated by the County of Kainuu (Finland) in 2017, during their leadership of the Barents Regional Council. The overall goal of the competition is the developing and strengthening cross-border co-operation in the Barents region. Other purpose is to support joint promotion of the Barents region and make it more visible. The theme of the first Barents Photography Competition was nature, and the contest was a big success. 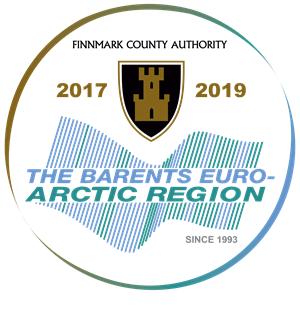 The County of Finnmark (Norway), chairing the Barents Regional Council in 2017-2019, continues the competition in 2019 and hopes that it will become a biannual event circulating between chairing regions and implemented by them. The theme of the competition 2019 is the Barents Youth. The competition is open to everyone and can be entered by submitting youth-related images shot in the Barents area. Please, note that only photos with the consent of the persons depicted in the pictures can be published and take part in the contest. We hope through the competition to gain access to high-quality photographs of youth in the Barents region, which can be used to promote this beautiful region. The competition period is February 1, 2019 – April 30, 2019, after which an international jury will select the winners during May 2019. The winners will be announced by June 1, 2019. The results of the competition will be published in the websites www.discoverbarents.com and www.barentscooperation.org on June 1, 2019. All winners will be notified in person, provided appropriate contact information has been submitted. In addition to the three best pictures, selected by the jury, the most liked image on www.discoverbarents.com will be announced as the winner of the general vote and rewarded with an honorable mention. The Photography The general vote ends at the same time as the contest, i.e. on April 30, 2019. Competition will be promoted on social media using the hashtags #discoverbarents and #barentsyouth. The main winner will be invited to the awarding ceremony that will take place on October 1-4, 2019, in Umeå (Västerbotten, Sweden), during the Barents Regional Council Meeting. The Finnmark County Administration will cover the travel costs of the winner to the awarding ceremony.